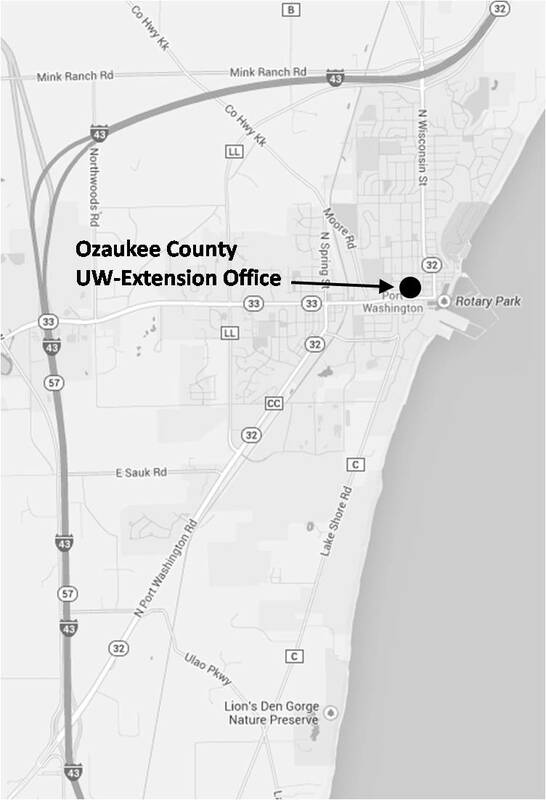 The Extension – Ozaukee County office is located on the lower level of the Ozaukee County Administration building in Port Washington. From the south: Head north on I-43 and take exit 93 for Hwy-32/Hwy V toward Port Washington/Grafton. Turn right onto Hwy 32 and head northeast for about 3.5 miles. Turn right onto Grand Ave. Then turn left onto Milwaukee St. and right onto Main St.
From the north: Head south on I-43 and take exit 100 for County Rd H/Hwy-32 toward Fredonia/Port Washington. Turn left onto Hwy 32 and head south for approximately 2 miles. Turn right onto Grand Ave. Then turn right onto Milwaukee St. and right onto Main St.
From the west: Head east on Hwy 33, which becomes Grand Ave. 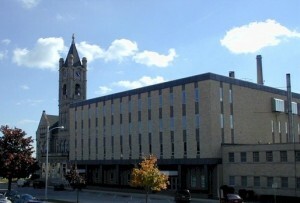 Turn left onto Milwaukee St. and then turn right onto Main St. Using Public Transportation: The Ozaukee Shared-Ride Taxi provides taxi service within Ozaukee County Monday through Friday from 6:00 AM to 9:00 PM, Saturday from 8:30 AM to 6:00 PM, and Sunday from 8:00 AM to noon. For more information, please contact (262) 284-TAXI (8294) or visit the Ozaukee County Transit website. By Bike: The Extension – Ozaukee County office is located along the Ozaukee Interurban Trail. Bike racks are located on the west side of the County Administration building. For more information, please visit the Ozaukee Interurban Trail website.